Cuba often gives tourists the impression of traveling back in time, a feeling mostly created by the number of antique 1940’s and 1950’s cars. 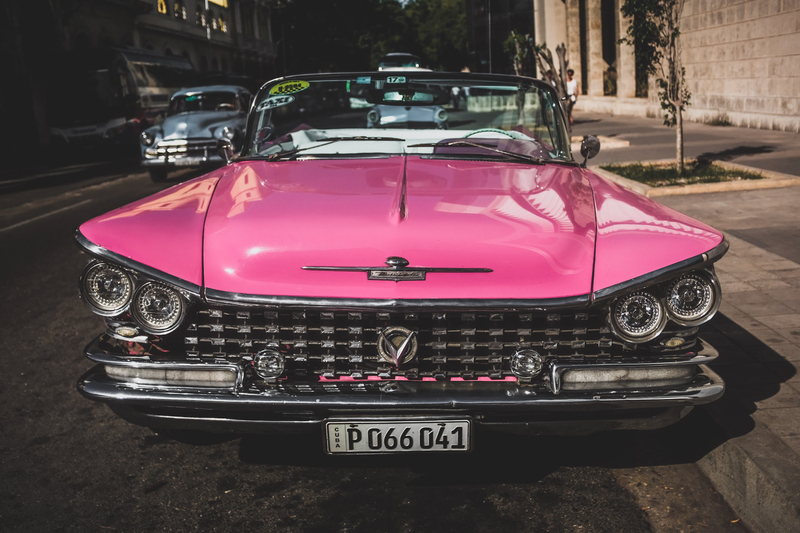 How is it that so many vintage American classics ended up in a country that our own government warns us about visiting? 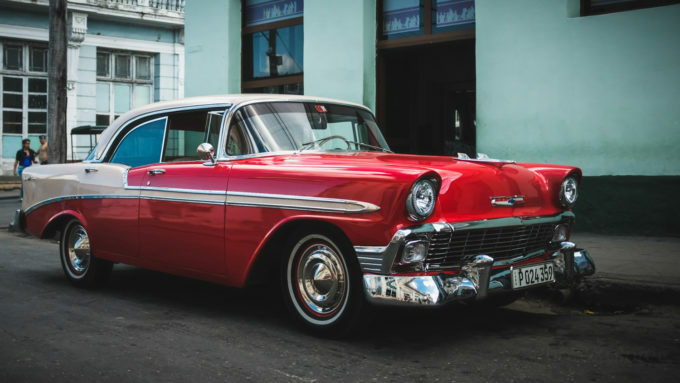 Before the Cuban Revolution, the USA owned huge shares in the industries of Cuba. 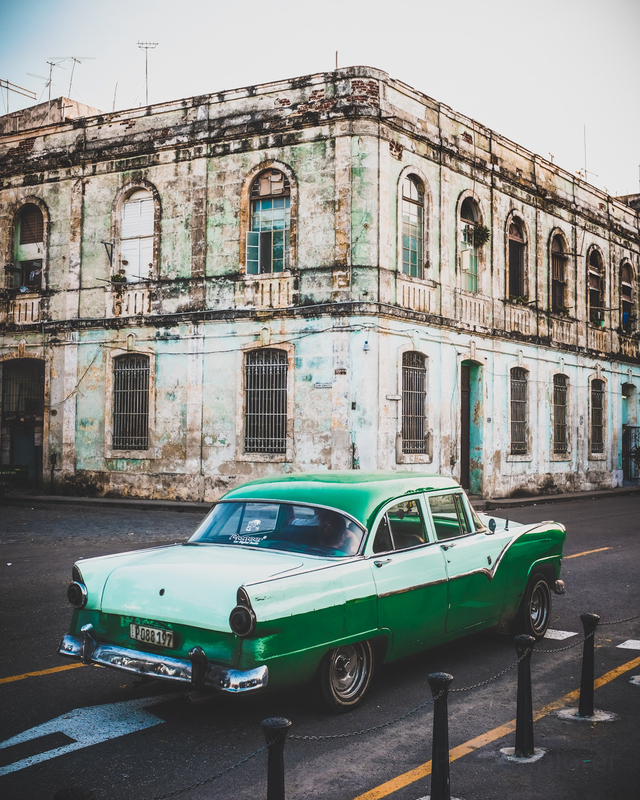 There was quite a bit of trade going on between both countries, mostly thanks to the relationship between the US government and Batista, Cuba’s dictator-like president. 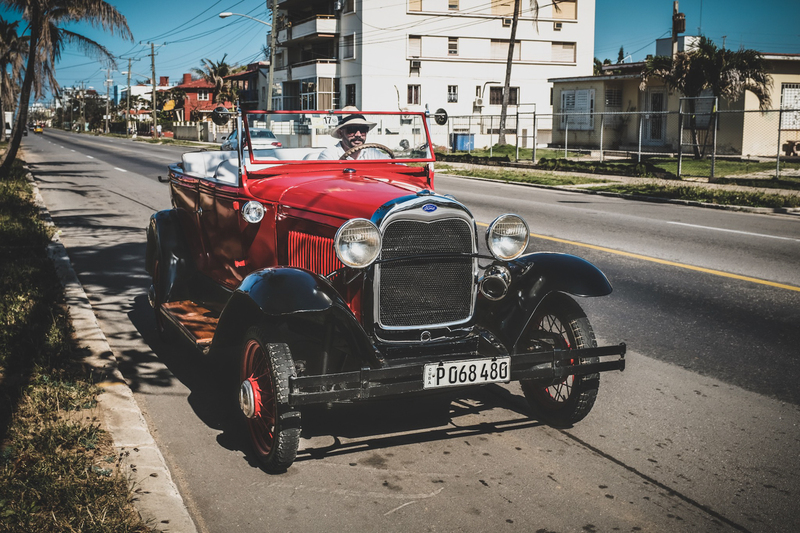 Many US-built cars drove the streets of Havana carrying around wealthy American tourists. Even though most metrics indicated that Cuba’s economy was thriving, the Cubans themselves were suffering. 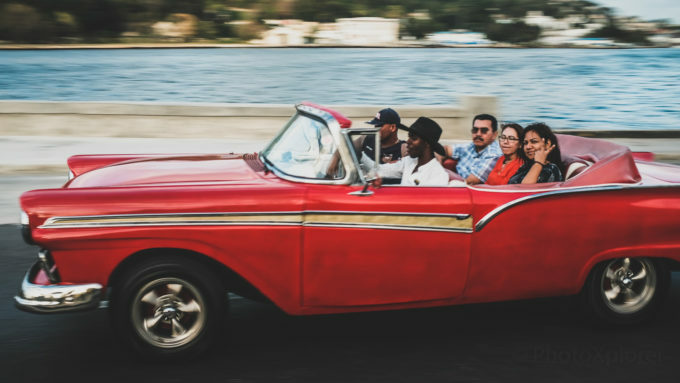 Income inequalities were growing and the ones who benefited the most from this thriving economy were wealthy American businessmen and a few Cubans in power. The country was ripe for a revolution. 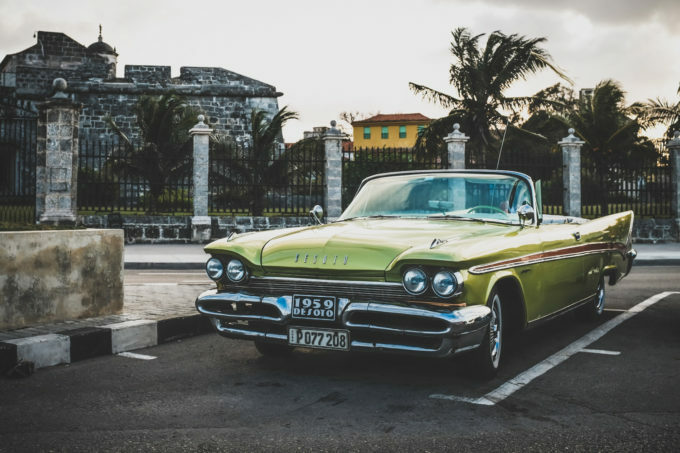 The Cuban Revolution happened in the late 50’s and the US started implementing a massive trade embargo, prohibiting the import of new US cars and parts to Cuba. 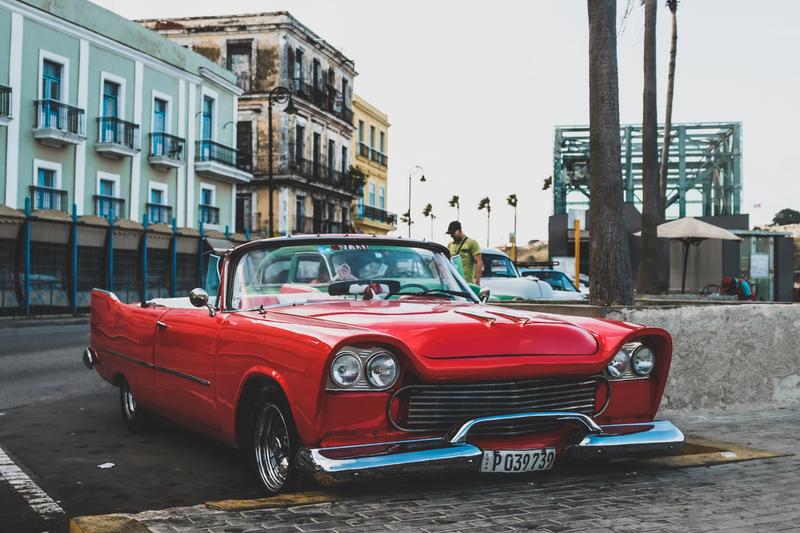 Castro’s newly established communist government didn’t have the funds to import quantities of cars from Europe and Asia, and the Ladas from the Soviet Union kept breaking down. Making things worse, Castro’s oppressive administration prohibited Cubans from buying their own vehicles; the cars had to be assigned. 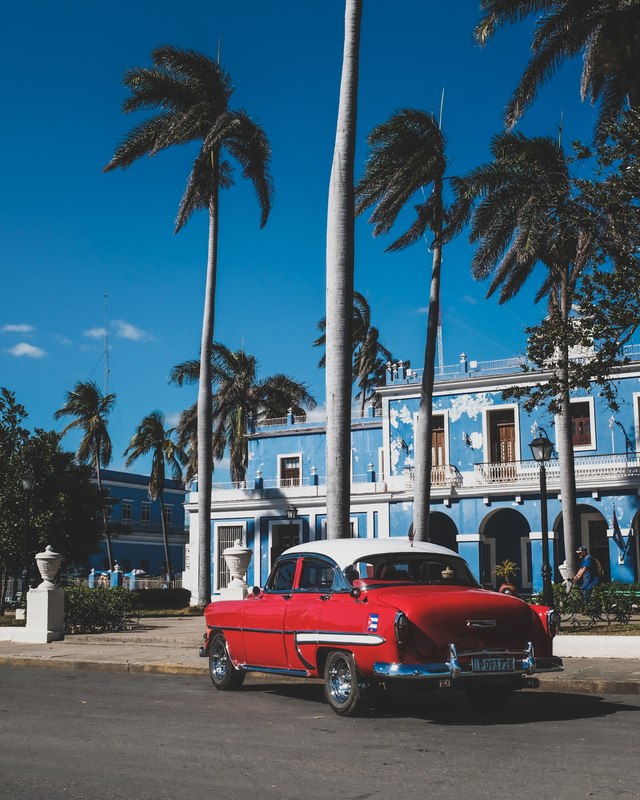 After the Special Period when the USSR collapsed and Cuba’s economy all but disappeared, the government reopened its borders to tourism. 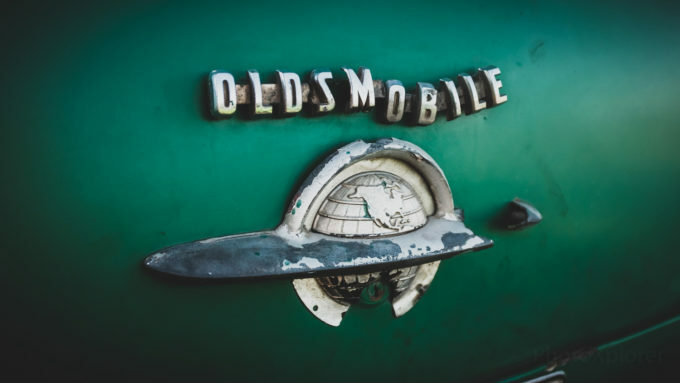 The old rusted-through US cars started showing up again as tourists loved riding them. 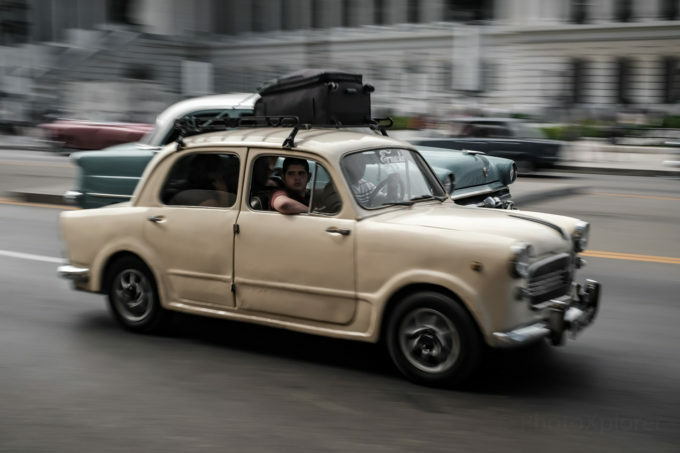 Since then, Cubans have been able to keep these vintage cars running with amazing ingenuity. They’ve fixed them up with bondo-like concoctions (often made of boiled yogurt containers), components from other cars, self-made parts and engines from other diesel cars, trucks, tractors and boats. Yes, the majority of these cars are indeed rust-buckets held together with twine, prayers and duct tape. Well, except for the duct tape since it can’t be purchased in Cuba. However, the cars do show well from the outside and the nicer ones are usually used for taxis. Osmany, our host in Cienfuegos told us that getting simple parts such as standard nuts and bolts for his totaled Chevy Bel Air was a real challenge. 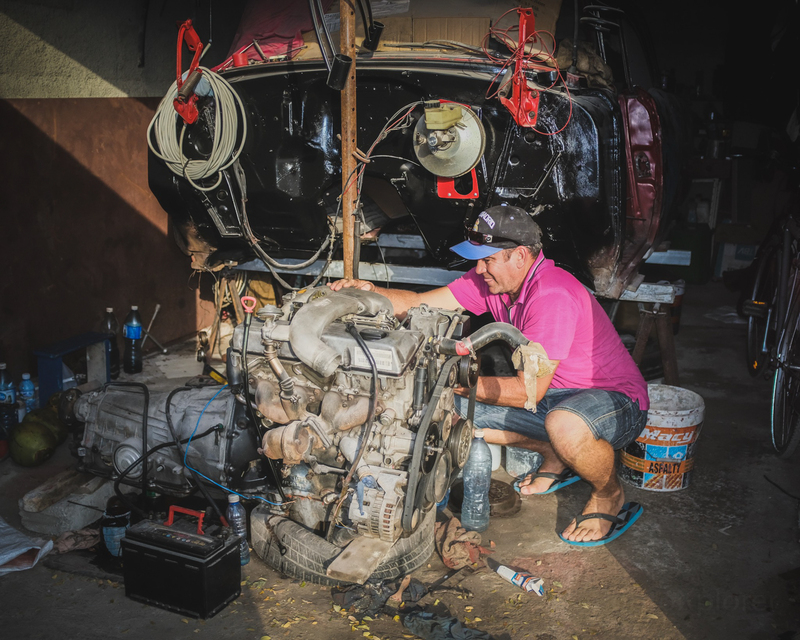 He ends up adapting parts from Jeeps, Ladas and other homemade components. The engine for his car is a rebuilt Mercedes diesel engine. 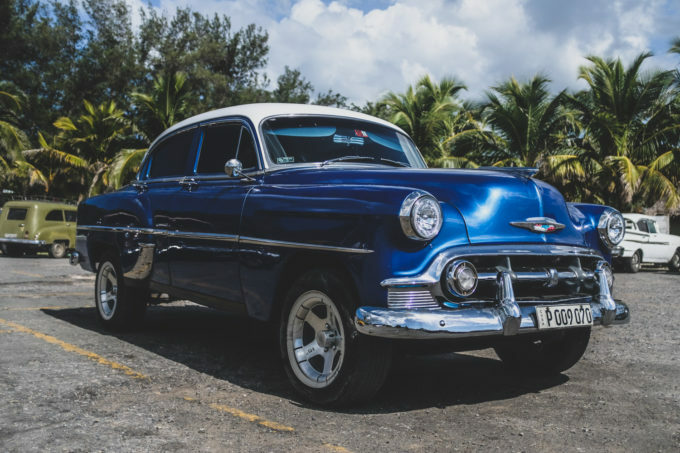 The restoration will take him years and when done, he plans on using the car as a taxi. 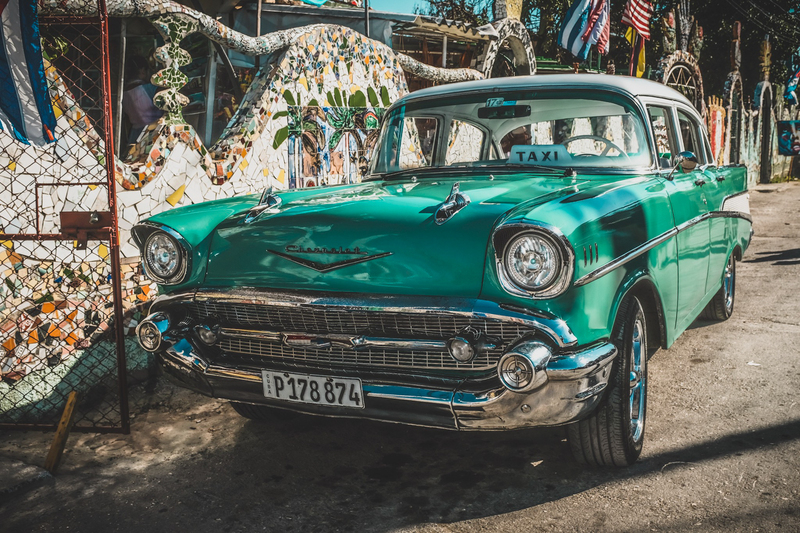 While the government now allows the purchase of private cars, very few Cubans can actually afford them (the average salary in Cuba is $29.60/month). 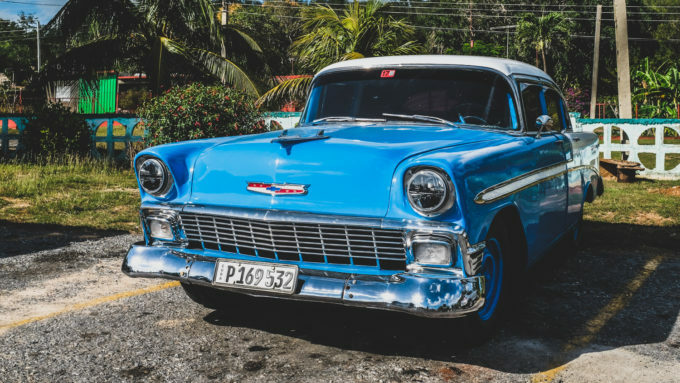 We were told by a taxi driver that one of these collector cars costs around $30,000, making it impossible to afford for most citizens. Taxi businesses or wealthier individuals own the nicer classics you see on the roads. 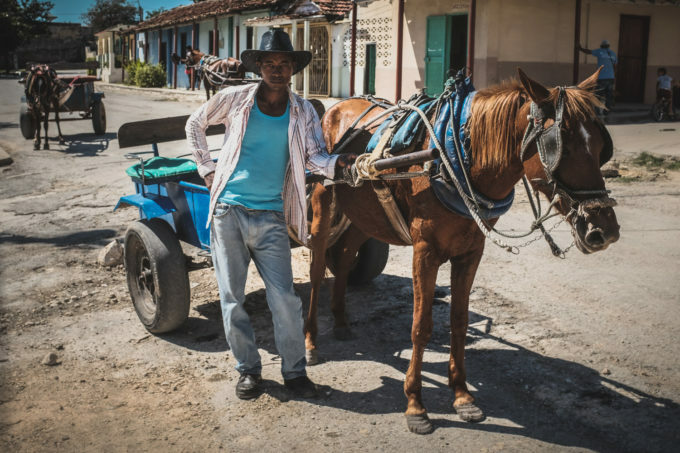 Cubans predominantly get to where they need to go by hitchhiking (their main mode of transportation), taking buses, riding bicycles, horse carts and walking. Hitchhikers gather on highways and wave pesos at passing vehicles in hopes of getting picked up. There is even a government system for organized hitchhiking: officials wearing yellow uniforms, “amarillos,” stop vehicles and match passengers with similar destination. While Cuba appears to have nice looking vintage cars, most of these are barely holding together and the nicer ones are reserved for tourists. The current administration has loosened its grip and is now authorizing Cubans to own and run private businesses. Even though Cuba looks like its falling apart, its economy is improving and more people have access to modern comforts, including vehicles. 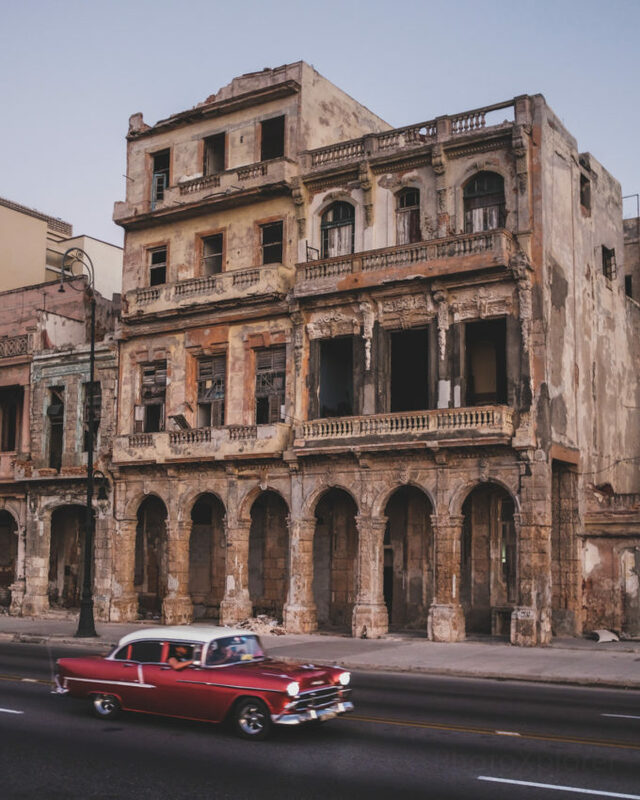 The country is changing, slowly yes, but surely even though it will be a while before Starbucks and McDonald’s deface Cuban cities. 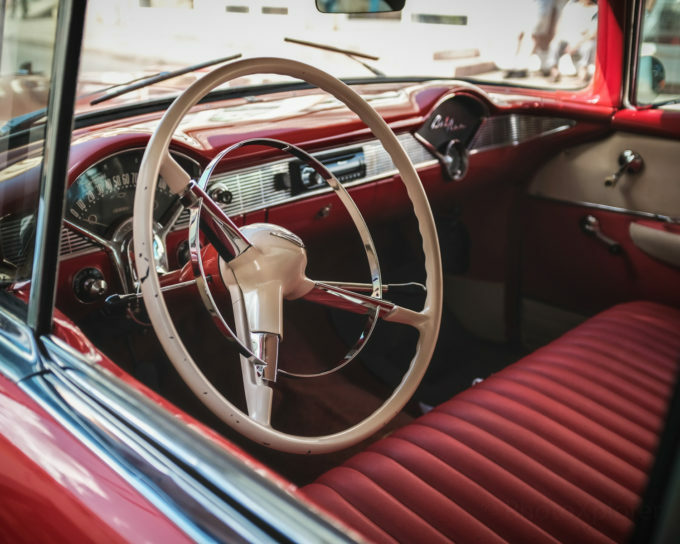 With these changes comes the import of foreign cars. The US trade embargo is still in place, but other countries manufacture affordable cars. The streets of Havana are starting to flow with more Asian and European vehicles. The rusted US classics most likely won’t outlast these modern foreign cars but hopefully tourism will be enough to keep them on the roads a little longer. 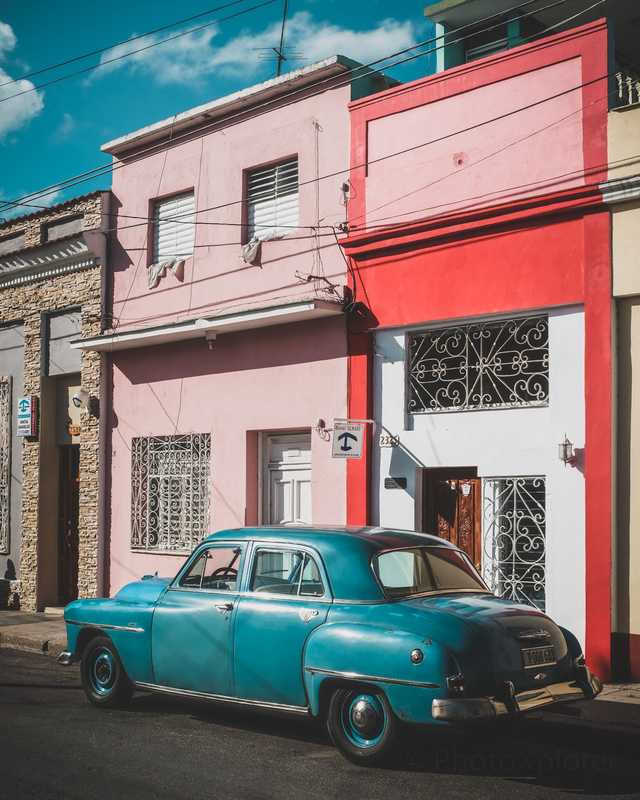 If you want to learn more Cuba, its recent history, its living conditions, its people and much more, read my Cuba two-week trip report. I remember wondering which marvelous M-mount lens I would want to pack for this two-week trip to Cuba. I spent hours trying to foresee the type of shooting I’d do in the Caribbean country and figuring out the best ways to pack a versatile yet lightweight inconspicuous photo rig. 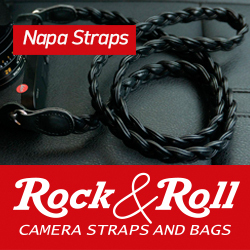 I browsed countless photo sites, including Steve’s, researching lenses and looking for excuses to buy new gear. I really enjoyed the kit I put together for a two-week trip in Thailand (Sony A7RII with a collection of Zeiss, Voigtländer and Leica lenses) but wanted reduce the number of lenses I carried. How could I improve on that kit? The answer eventually was obvious and I bought a Fujifilm X100F. For two weeks, I used this one camera with its one lens and loved every bit of it. I believe the Fujifilm X100F is the best travel camera one can get and you can read why here. Thank you Steve for allowing me to contribute to the great photographic resource you’ve created. 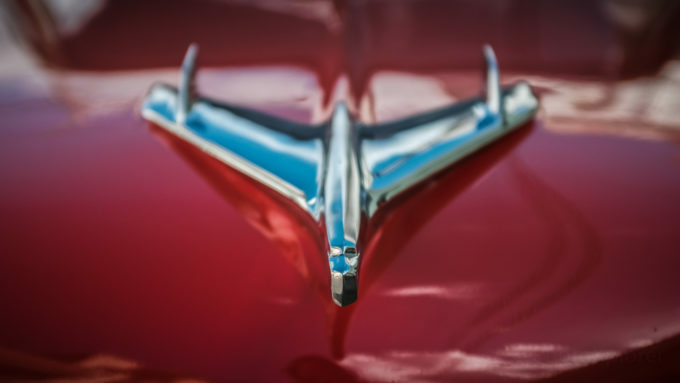 If you like my photography style, consider following my Instagram account and visiting my website: PhotoXplorer. 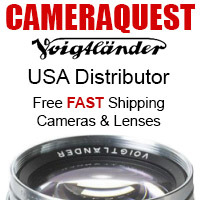 Great photos and a wonderful camera to have. The colour and rendering a excellent. Love those shots, the processing and colours are spot on and really add to the atmosphere. Well done. Beautiful images. 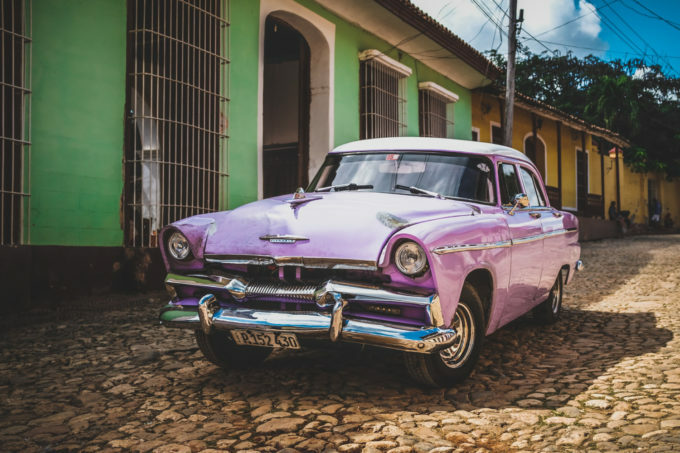 I’ve long wanted to visit Cuba on a photo excursion and still hope to one day. Thanks for the precursor visit. Thank you! And you most definitely should. Visiting Cuba was something else! Very nice pics! The only gripe I would say is in a few pics, the buildings could have been easily straightened with the lens correction tool. But loved the overall mood. Great pictures and even better commentary on Cuba. I like having a go to travel camera and if I did not already own the relatively unknown Leica X-E (the model after the X2 that no one really talks about) I would own that Fuji X100F. You still get great pictures and never have to worry about what lens to take. Anyway really enjoyed your post, thanks. Thank you! Glad you like the article as a whole. I’m not familiar with the Leica X-E but it’s fun to hear about everyone’s experiences. It only helps reinforce that the equipment really doesn’t matter all that much. I used to try to justify my expensive Nikon, Sony and even Leica gear by saying that only the best could help me become a travel photographer. The truth is, if you can’t start making a living with a simple camera, buying a “better” (read more “expensive”) will only make you waste more money. When you peal away some of the un-nuanced political commentary, historical inaccuracies and double-speak of the post (“the special period”!! ; I love it! ), many nicely evocative images remain of what four generations of decay under totalitarianism looks like. Thanks Ed. While I can’t easily make changes to this article, I have written a much more detailed one on my website. I did quite a bit of research to be as accurate as possible. Would you please mind explaining which historical inaccuracies you are talking about as I would like to correct whatever is untrue. Haha, in conservative U.S.parlance, there is only bad about the revolution. 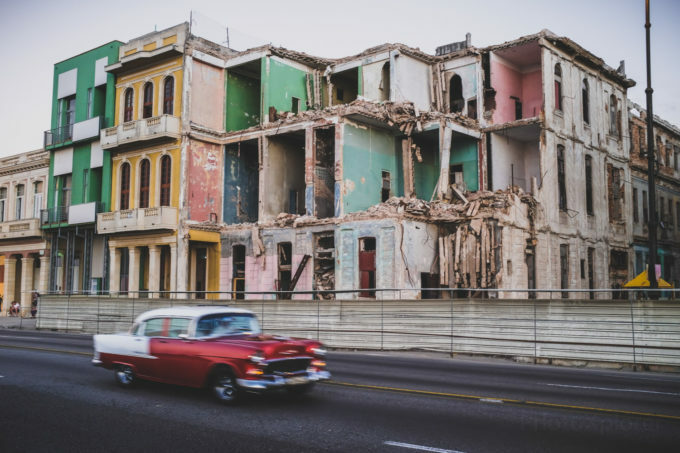 No thought is made off the failure of the US backed batista regime to address the problems of the poor and the inequalities in what was largely a playground for well to do American tourists. Since then the situation improved enormously for those at the bottom. This does not excuse the human rights violations of the regime, or the curtailing of freedom, but you have to see it in the context of being too close to its powerful neighbour and having experiences coup- and assassination attempts from over there. Yep, that’s pretty much exactly what I tried to communicate in my main article on my site. 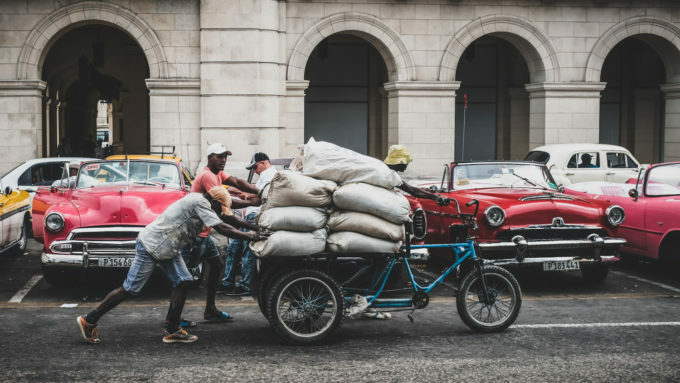 I didn’t have as many words here to fully explain the situation that I witnessed while visiting Cuba. 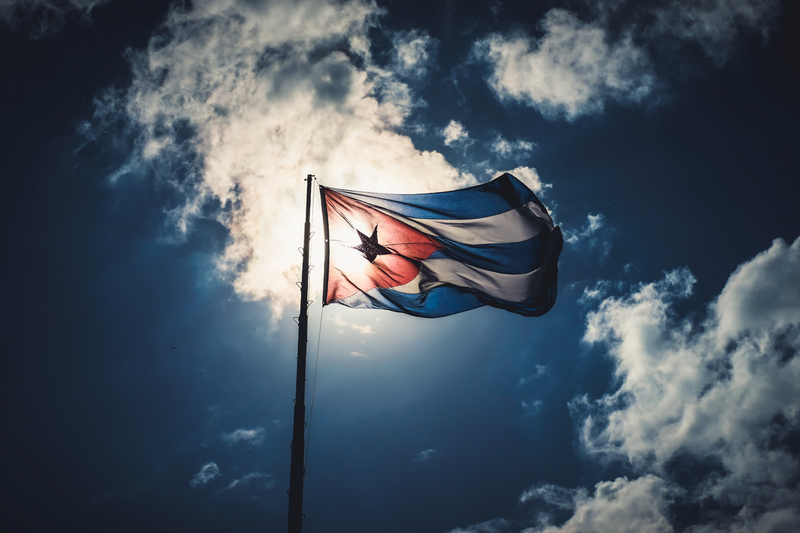 The Cuban government is definitely oppressive, corrupt and needs to change. But, as you mentioned, the USA is far from being innocent when it comes to the state Cuba is in today (and many other countries for that matter). Bravo! Well done. A very nice collection. And, your accompanying text matches their excellence. Great photos with film like colors. Can you share the settings used and PP applied? Thank you! Honestly, I don’t use photoshop anymore, too cumbersome. I’m also trying to move away from laptops. All the photos here were imported in Lightroom mobile on my iPad Pro, adjustments were made on the iPad and exported from there. 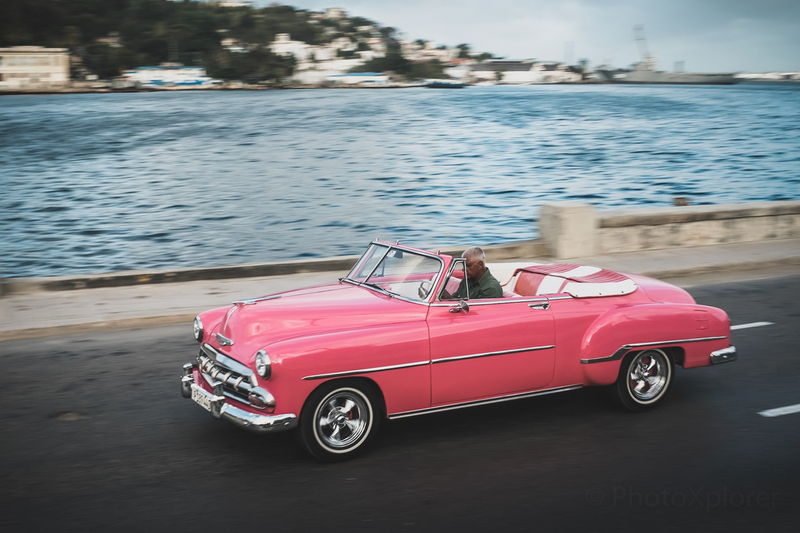 Most photos were also shot with Fuji’s built-in filters (I used chrome a lot in Cuba). Lightroom also has decent filters but most of the adjustments were done by moving the sliders and tone curves around in Lightroom until it looked good to my eyes. Honestly, I don’t like the processing at all. The pictures look very muddy and one (green chevy) is just destroyed by a HDR effect. The composition is also quite boring. It all looks very random. Hey, thanks for criticism Johan! The shots were indeed pretty random in their own way. Were taken while visiting with other non-photographers, walking around about 10 miles a day. Though that’s no real excuse for being sloppy with composition. I really appreciate the remarks and can figure out what to work on next. I would also prefer less post processing here. For me it distracts from otherwise nice images. 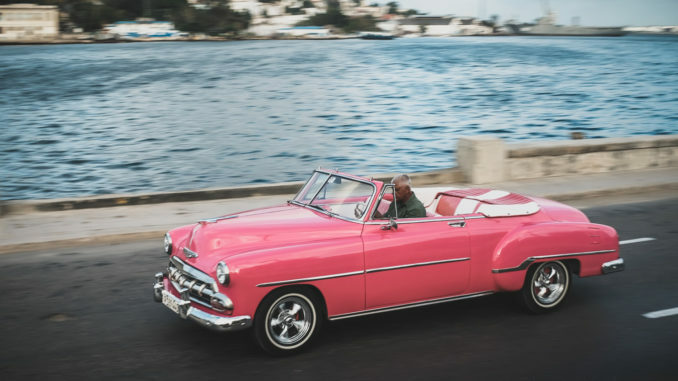 My favorite is the pink car driving along the water. Thanks for the feedback Rick. It’s always good to hear about other’s tastes and opinions! Awesome photos! Love the post-processing. Nice shots and colors and very impressed with the IQ. Had the original X100 but now shoot Sony A9 most of the time and with the 35mm it is reasonably small. Enjoyed your post. Thanks. You can’t go wrong with the A9, that’s for sure. awesome pictures and post – many thanks for sharing these impressions! Wow, that’s something. Very beautiful pictures. Thank you very much. The colors are amazing. Nice travel story.